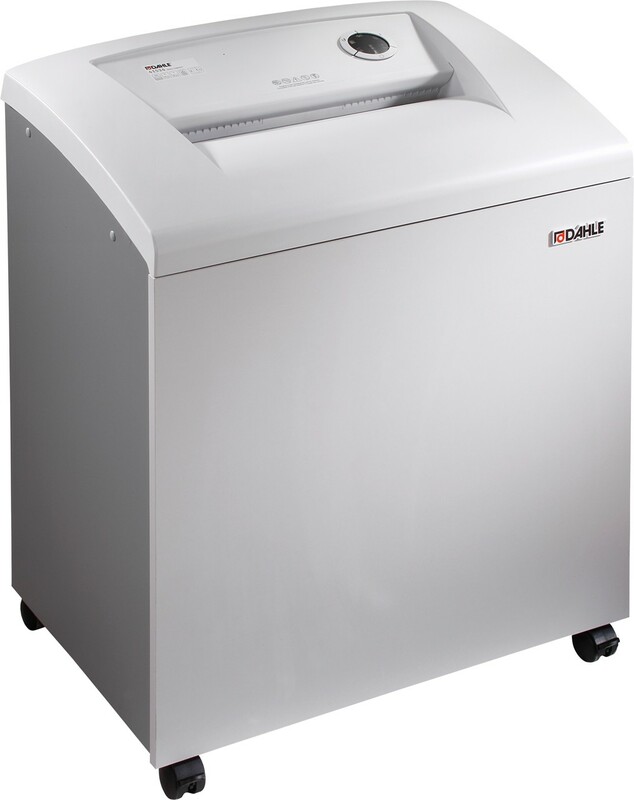 Known for its power and waste capacity the Dahle Small Department Professional Shredder is designed to accommodate the needs of most small departments. This cross-cut machine offers a 1/32" x 7/16" particle size and is able to shred to security level P6 standards. Dahle's 40530 is built with a 12" feed opening and can shred up to 10 sheets of #20 paper at a time. 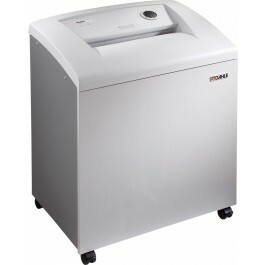 This machine can accommodate both letter and legal size paper with ease. Each shredder comes equipped with the revolutionary SmartPower Energy Management System which uses a multi-stage system that reduces power consum­tion after ten minutes of sitting idle (sleep mode), and completely powers down after an additional 20 minutes of inactivity. A highlight of this shredder is its EvenFlow Lubricator automatic oiler. For added power, the Dahle 40530’s cutting cylinders are connected by a steel chain and gears. Dahle’s shredders are German Engineered using the latest technology and finest materials. The end result is a quality machine and peace of mind in knowing your Dahle shredder will provide many years of trouble free operation.